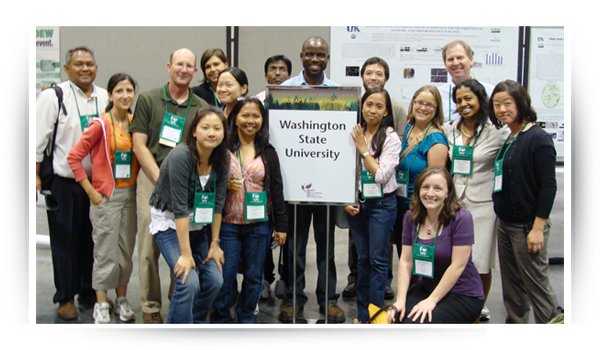 The Department of Plant Pathology serves Washington State’s agriculture. All of us in the department share a common goal: finding solutions for disease problems of numerous crops, including grain, forage, forest, fruit, and vegetable crops and specialized crops such as ornamentals, bulbs, nursery stock, turf, and vegetable and grass seed. We also cooperate with federal plant pathologists (USDA)–all of whom have adjunct faculty appointments–and participate in regional and inter-regional projects and disease problems of importance throughout the Pacific Northwest, the nation, and the world.